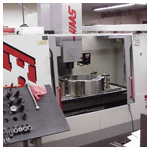 Capabilities - Jacobs Machine & Tool Company, Inc.
Our EDM department consists of AGIE, Charmilles and Makino machine tools. EDM software for programming these machines are PEPS 7 and BOBWIRE 23. 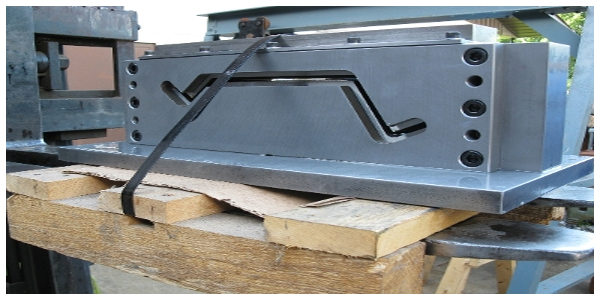 Materials: *Tool Steels* *Mild Steels* *Non-Ferrous* *Carbide* *Hi-Temp alloys*. 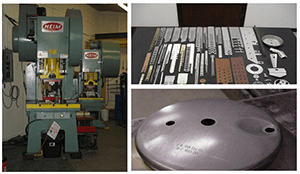 We’ve been building stamping dies from the very beginning. 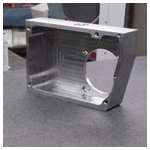 Steel or Carbide, Single hit or a Class “A” progressive, we can design’em and build’em to your specifications. Our material expertise ranges from forming hi temperature alloys such as Haynes 188 / Hastalloy X to general steels such as CRS and HRS. Help! “Emergency Die Repair”. 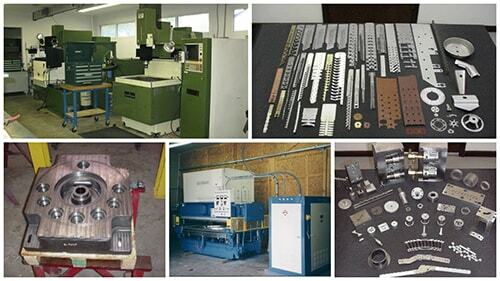 Our shop is ready with Raw Material, CNC machinery and Die set components needed to get your die back up and running. 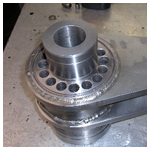 From dies you can hold in both hands to 20K, we have the facility (5 to 10 ton overhead cranes) and the expertise to get the job done. 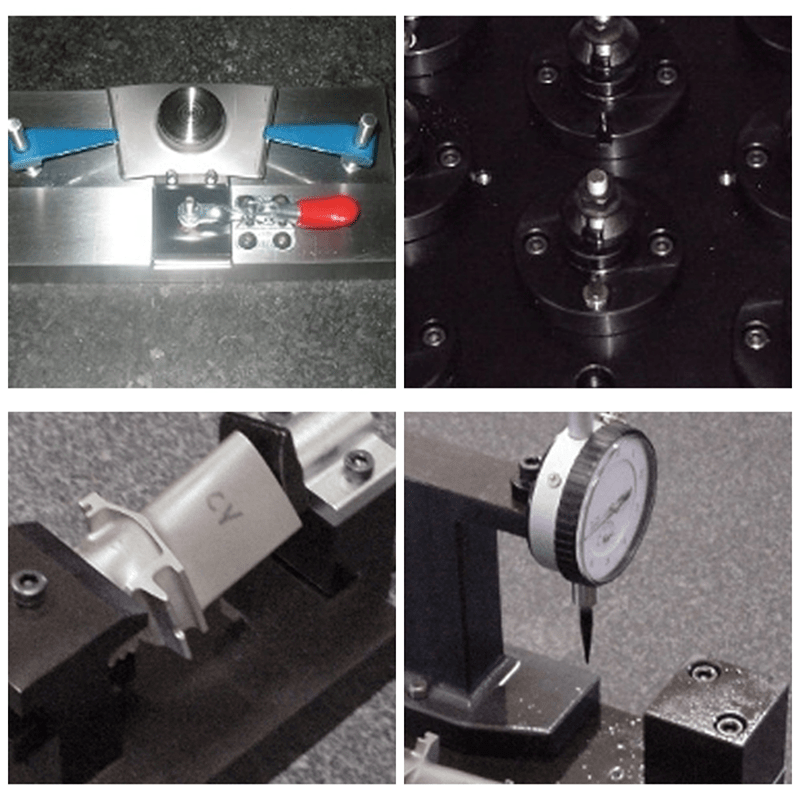 For our metric (Japan) dies, we stock some MISUMI die components. Two flatbed trucks w/ trailer and a 1 ton van allows for pickup and delivery anywhere in the U.S. and Mexico. 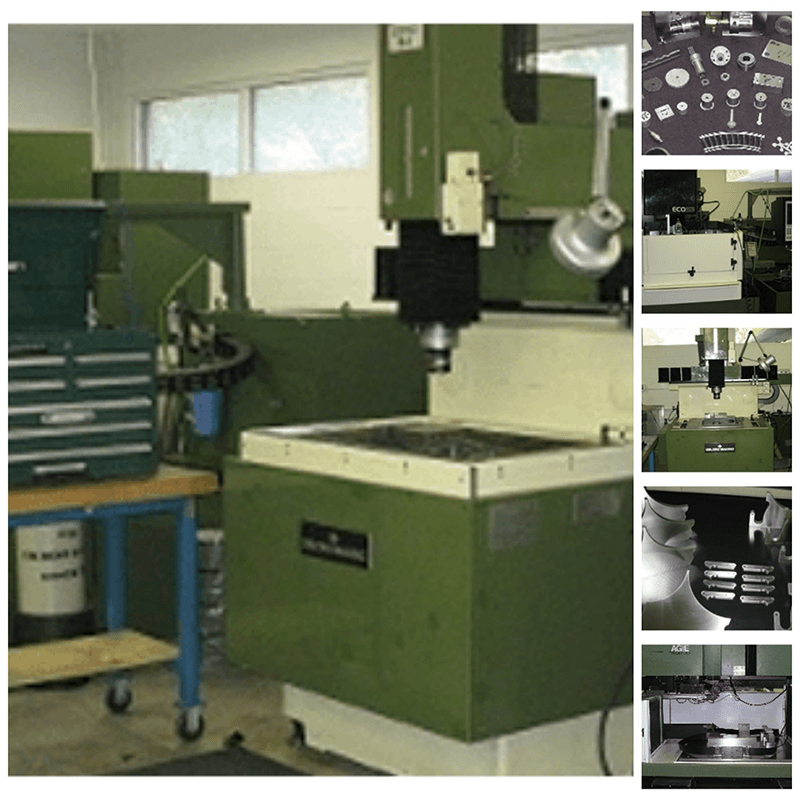 We provide Precision and Production milling services. 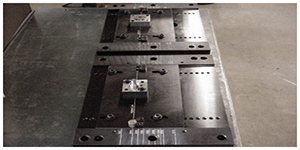 See our equipment list for table sizes and travels. (1) 150 ton BLISS 29 OBI Press. 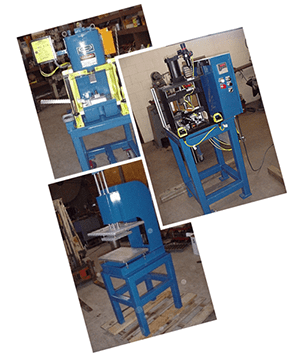 (1) 120 ton HEIM 12GA OBG Press. (1) 55 ton HEIM 5 GA OBG Press. 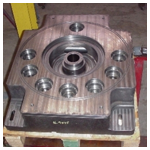 (1) 25 ton ROUSELLE OBI Press.